Over the last week, Snapchat CEO Evan Spiegel has been portrayed as a bit of a billionaire brat. A former employee had alleged that Snapchat didn’t want to expand into poor countries like India and Spain, and said his app was only for rich people. Though Snapchat had hastily denied that this ever happened, Spiegel found it hard to shake off his image of being a bit of an elitist — that can happen when you’re worth $5 billion when you’re 26 years old. But Spiegel might not be the cocooned Silicon Valley billionaire that the media is portraying him out to be. While it doesn’t appear that he’s ever visited India, he’s probably gone a step further — Spiegel had visited Pakistan in late 2014. 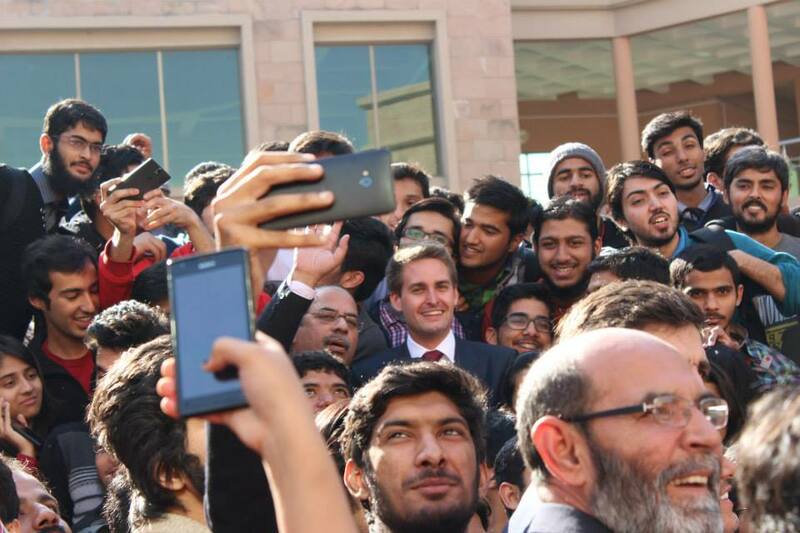 The Snapchat CEO, then 24, had visited Islamabad along with Snapchat cofounders Reggie Brown and Robert Murphy. 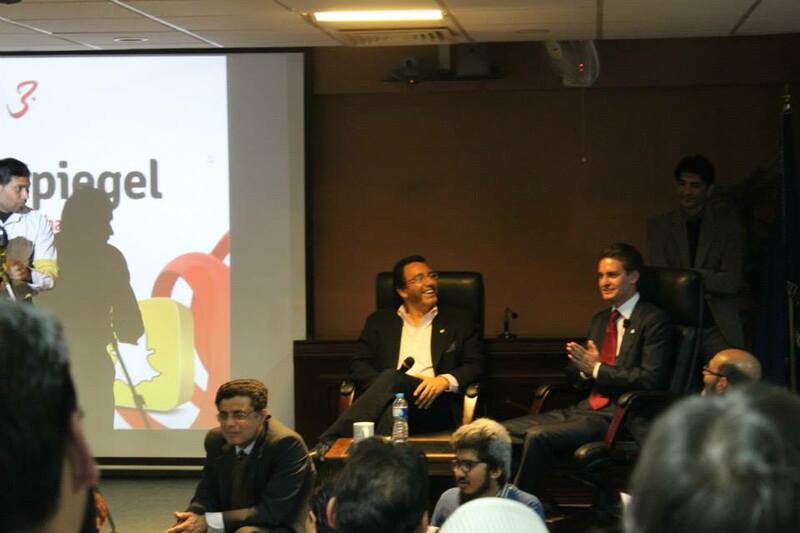 His spent his time meeting with with the data and marketing teams of Mobilink, one of Pakistan’s biggest mobile services providers. 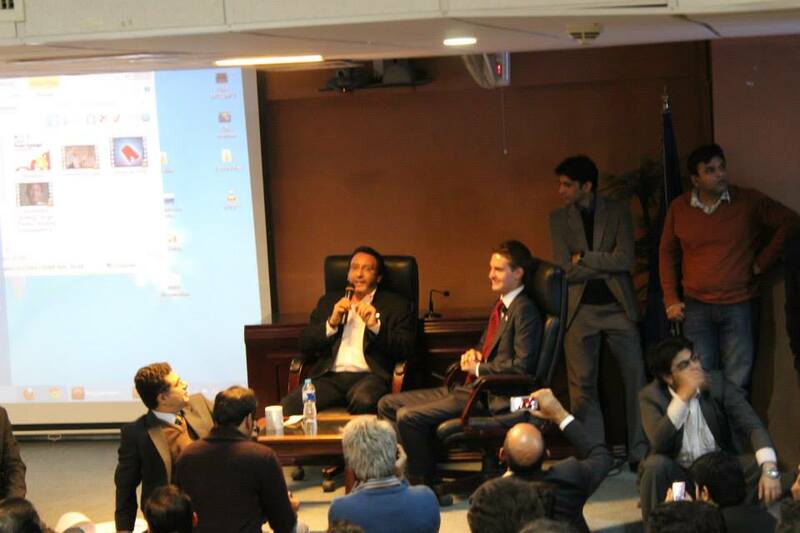 While in Pakistan, he’d also given a talk at National University of Science and Technology (NUST) in Islamabad. Spiegel had made an effort to dress up for the occasion, putting on a suit with a bright red tie. Spiegel doesn’t usually do ties and suits – at Recode’s conference last year, he’d shown up wearing a loose white tee and jeans – but he seemed to be respectful of his audience, most of whom had shown up in suits as well. Spiegel had even spoken of his travels. “One thing I have noticed in my travels is that people build their businesses differently and not business is a venture business,” he’d said. 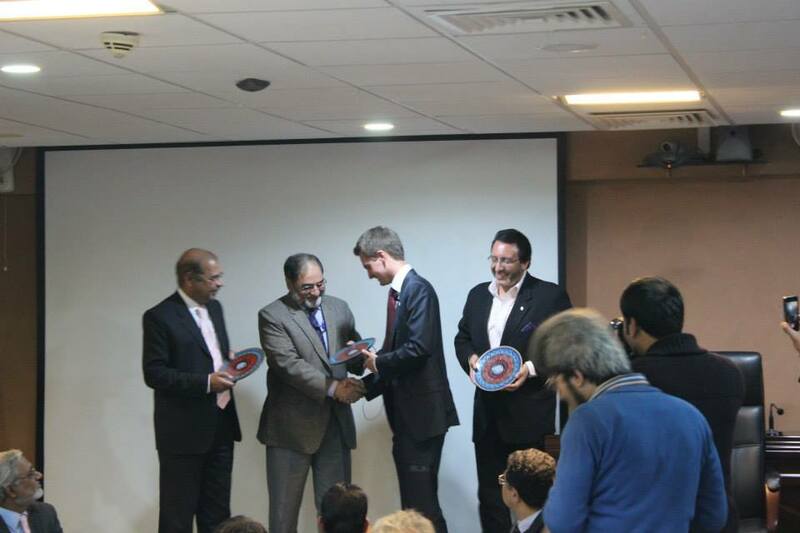 At the end of the event, in true south Asian style, Spiegel had been presented with a memento. 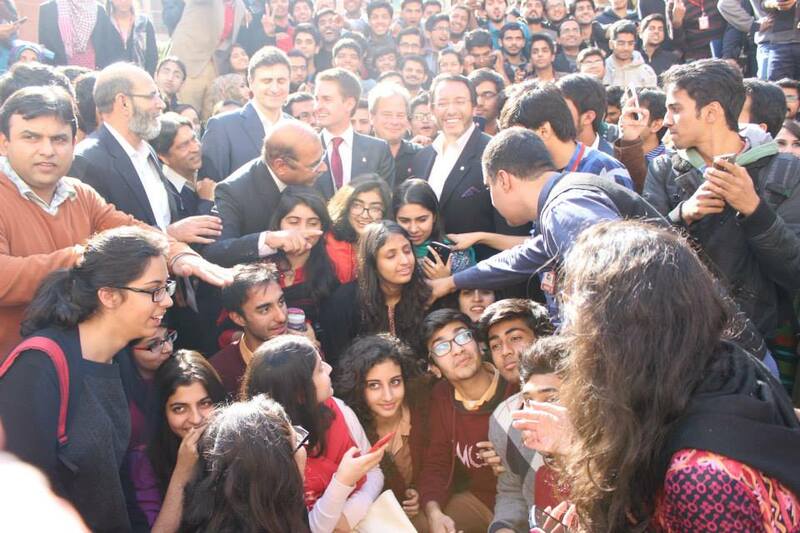 And later, he’d patiently posed for pictures as he was mobbed by fans. 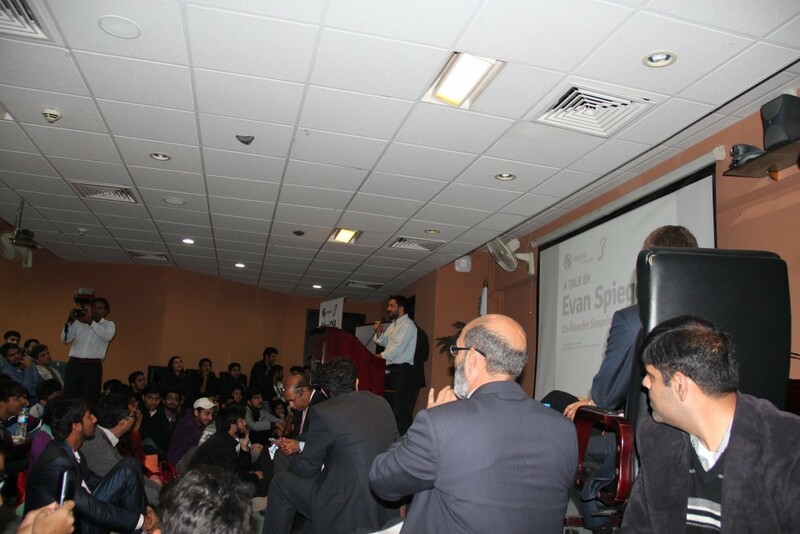 It’s debatable whether Spiegel actually said what caused all the outrage in India. On one hand, the comments come from a jilted ex-employee who’d have reason to make him look bad. On the other hand, Snapchat really has no presence in “poorer” markets – while companies like Facebook and even Tinder have offices in India, Snapchat doesn’t seem to be all that keen on expanding here. But one thing’s for certain – Spiegel isn’t uninformed. To have taken the time out to visit the largest mobile carrier in Pakistan in 2014 shows that whatever his decisions, he seems to have done his research. Update: It turns out Spiegel has been to India too. He’d visited Rishikesh in 2015 with girlfriend Miranda Kerr.